Enjoy the “Spa Sommelier Experience” and Unique Wine Experiences. Visit the Ulrich Rückriem Museum on the property. Peace and rest are hard to find, but easy to experience at Abadía Retuerta LeDomaine. Located an hour north of Madrid, this unique property has much to offer. After settling in, spend your next few days however you wish – visiting their onsite winery, dining at a Michelin-star restaurant, detoxing in the spa or exploring the medieval city of Valladolid – it’s all at your disposal. Walking through the halls of Abadía Retuerta, you’ll be transported to another place and time. Founded in the 12th century, the hotel was an abbey in its former life, and has since been pristinely restored to house 30 rooms and countless amenities. History is certainly paired with hospitality as every furnishing, light fixture and work of art is perfectly placed. Although its cliché, it’s the people make Abadía Retuerta truly incredible. 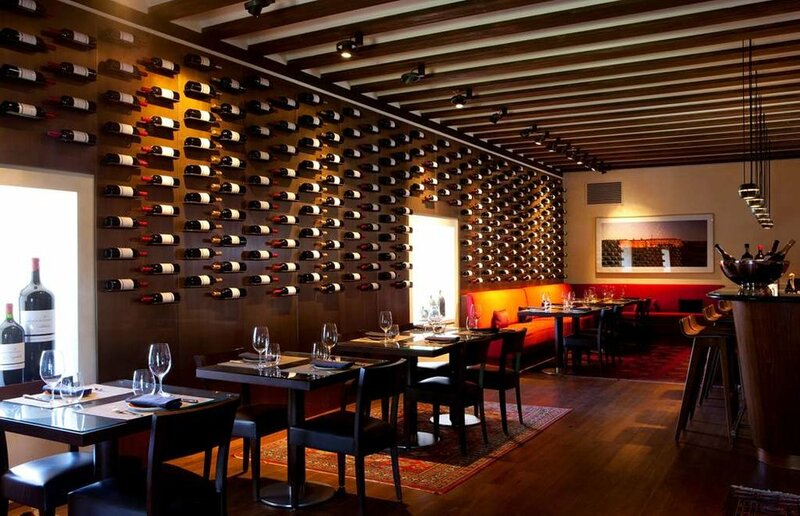 Led by general manager, Enrique Valero, the Abadía Retuerta team provides a high-level of anticipatory service that is always perfectly timed. After the in-room check in, you are greeted with a taste of Abadía Retuerta’s culinary expertise. House-made cheese and crackers are placed for your enjoyment along with a bottle of wine from their acclaimed onsite winery. Their rooms are outfitted with a Nespresso machine and an oversized bathroom containing a double sink vanity, a large bathtub and a double shower. The views of both the courtyard and vineyard make the rooms spectacular. And, technically no two views on the property are exactly alike as nearly every window on the property was custom-made (apparently window sizes were not standard in the 12th Century). Access their immaculate spa and enjoy a relaxing massage along with expansive areas to unwind. Consult with your personal “spa sommelier” to customize your experience and enjoy various Abadía Retuerta wine. The LeDomaine Spa is separated into two different areas for men and women, each equipped with a Finnish sauna, steam bath, whirlpool, relaxation room and aromatic showers of mango, pine and mint. The meeting point for couples is a heated indoor pool filled with a serene waterfall and sunshine from the large skylight. Schedule a visit the LeDomaine Spa, it’s an excellent escape. Enjoy four gastronomic experiences in four exceptional settings. At Vinoteca, their more casual restaurant, don’t miss the 40-day dry-aged rib-eye with glass peppers and fries. Pair with Abadía Retuerta Selección Especial, a blend of Tempranillo, Cabernet Sauvignon and Syrah coming just steps away from their onsite winery. Open for lunch and dinner, this restaurant is worth visiting multiple times during your stay. The crown jewel of the dining scene, Refectorio, is a Michelin-star restaurant using contemporary and creative techniques. You’ll experience course after course of gastronomy greatness as each element arrives in perfect timing. Don’t miss the baby lamb, a succulent regional specialty. Order a bottle from one of their original vintages for an exceptional pairing to your evening. This restaurant is full of surprises and embodies what all Michelin-star restaurants should aspire to imitate. 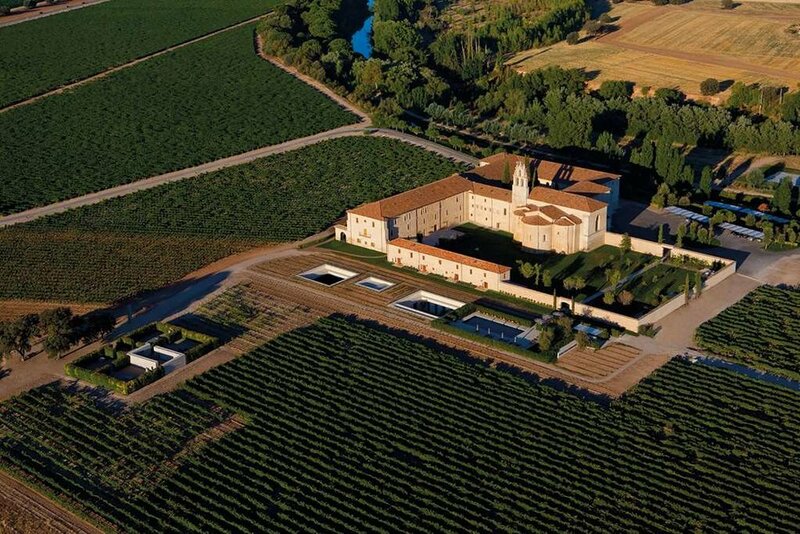 Plan a visit to their onsite award-winning winery, Abadía Retuerta. In a region known for Tempranillo, they are also making a rare white wine. Made from Sauvignon Blanc grapes from vines planted 20 years ago, this wine is enriched with a touch of Verdejo and other white wine varieties. Every wine that is produced here is quality, fun to taste and fully expresses the characteristics of the region. More than Tempranillo, make time during your stay for a visit to this standout winery. While there’s plenty to occupy your time onsite, consider taking a few hours to visit nearby Valladolid – Spain’s former capital. The hotel will happily arrange a guided tour of the city where longtime residents will take you through the history, architecture and tapas tour. You’ll feel like a local and fall in love with this neighboring town. Consider visiting Toro, a wine region known for its big and powerful wines. About an hour from the hotel, it’s worth a trip to visit wineries such as San Román in a wine region not yet overrun by tourists. A true respite just an hour north of Madrid, at Abadía Retuerta LeDomaine, you’ll arrive as a stranger, but depart as a friend. In 1145, the marriage of aristrocracy and piety brought about the abbey when the Lord of Valladolid's daughter Doña Mayor donated "terras et vineas" to the church. Abadía Santa Maria de Retuerta was built for the Premonstratensian Order. Baroque-Romanesque in style, it has a classic Benedictine layout of church, cloister, refectory, chapterhouse and hospedería. It is one of only two such abbeys to have survived the destruction wrought by Napoleon and is a treasured Spanish cultural heritage site. The recent abbey renovation respects the integrity of 1000 years of history. The original monastic uses of rooms were maintained, the Romanesque-Baroque architecture conserved, not altered. Opulent new furnishings, lighting and climate control make modern guests feel at home without compromise to the ancient site. "To alter this ancient edifice was to engage in a 1.000 year-old architectural dialogue. The judicious restraint of my intervention is my homage to those who spoke before me." – Marco Serra, Master Architect.